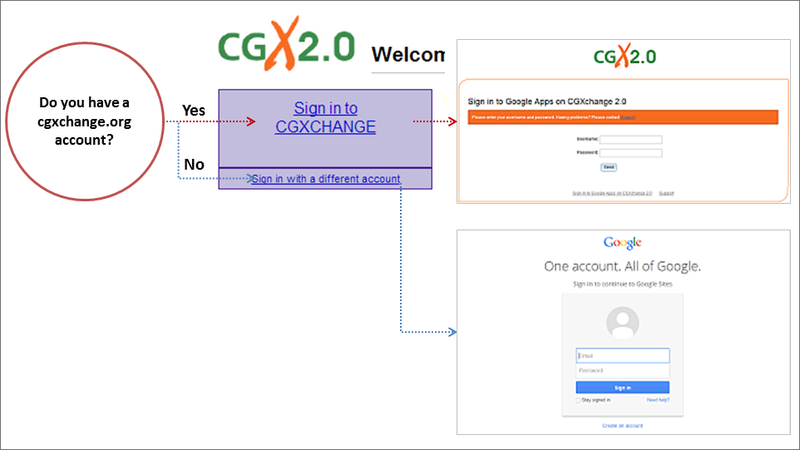 When you receive an invitation to a Site on cgxchange.org, click on the link you receive. If it is a public site, you will be able to open the site in your browser. If sign-in is required, the sign-in procedure as well as the username and password you will enter depend on which Google account you have been invited with. Do you have a cgxchange.org account or an active cgiar.org email? Do you have a different Google account or an irri.org account? Click on Sign in with a different account and proceed to Google sign-in screen.